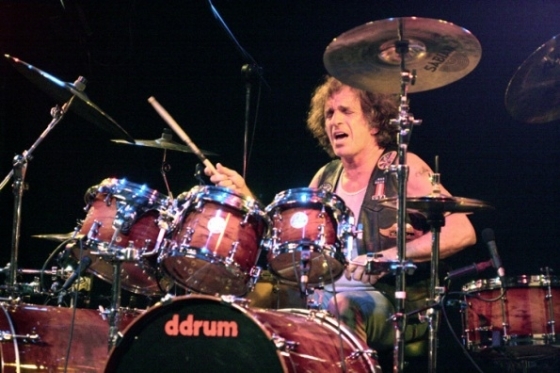 Canadian powerhouse drummer Corky Laing is essentially associated with rock and roll folklore and as one of the elite drummers in the world. Laing is a longtime member for hard rock/heavy metal giant’s Mountain and the blues-rock power trio of West, Bruce & Laing. But Laing’s musical collaborations are seemingly endless. A list that includes alliances with John Lennon, Jack Bruce, Meat Loaf, Noel Redding, Mahogany Rush, Ten Years After, Ian Hunter, Mick Ronson, Bo Diddley and Gov’t Mule …to name a few. Laing is also a producer and composer. Corky Laing has recently added a brand new chapter to his illustrious musical career. 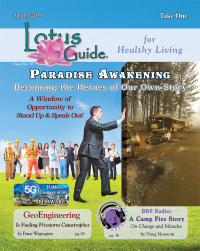 Laing’s most recent project is a fascinating collaboration with two internationally acclaimed professors (Prof. Matti Häyry and Dr. Tuija Takala) intermingling the decree of genetic engineering with a rock opera music scheme. The concept album entitled … Playing God is performed by the Perfect Child, an incredible ensemble of musicians and singers. At the core of the rock opera is Corky Laing who astounds instrumentally, lyrically and vocally. The album concept is brilliant and the music is colossal. It’s an awe-inspiring rock musical production and a cross between … Welcome to my Nightmare, The Wall and The Rocky Horror Picture Show. Corky Laing also records and performs live with his band Corky Lang & The Memory Thieves featuring Bonnie Parker & Denny Colt. Both bandmates also performed magnificently on the Perfect Child rock opera. The Memory Thieves released the album House of Thieves in 2012. Corky Laing studio and live albums with Mountain … Climbing! (1970), Nantucket Sleighride (1971), Flowers of Evil (1971), Mountain Live: The Road Goes Ever On (1972). Avalanche (1974), Go for Your Life (1985), Man’s World (1996), Mystic Fire (2002), Masters of War (2004). Corky Laing studio and live albums with West, Bruce & Laing … Why Dontcha (1972), Whatever Turns You On (1973), Live ‘n’ Kickin’ (1974). 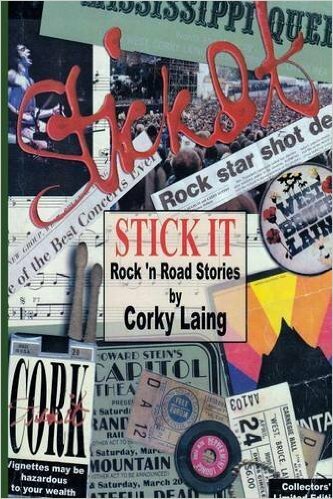 Other studio releases featuring Corky Laing … Corky Laing- Makin’ It on the Street (1977), The Secret Sessions (1999), Cork- Speed of Thought (1999), Cork- Out There (2003), Jason Hartless Jr. –First Division (2004), Stick It! (2004). Sitting in with K2 (Peter Baron, Ken Sidotti & Joe Venti), a band saluting Mountain’s music, for a couple of gigs during 2014 and 2015 reminded Corky how much he liked playing Mountain songs the way they were originally written. Now he is looking at touring both Europe and the US celebrating the Mountain legacy. On the European tours Corky is joined by Joe Venti (formerly e.g. Leslie West Band) on bass and vocals, and Phil Baker (e.g. Uriah Heep Legends & Pulse Echoes of Floyd) on guitar and vocals. In November 2015 they tour the UK and in February 2016 Germany, playing the immortal Mountain classics and throwing in some West, Bruce & Laing and Cream for good measure. Here’s my interview with legendary drummer, composer, producer, singer, and member of classic rock legend’s Mountain and West, Bruce & Laing … CORKY LAING.